People struggling with obesity is a more frequent problem than ever and not only in the US but all around the world. Although the first thing that we are worried about is our looks, obesity is a health issue which is the cause of further problems such as cardiovascular diseases, hypertension, diabetes and heart attack. One of the common tips suggested for weight loss is intermittent fasting. You can find out more about intermittent fasting for weight loss and whether it can help you lose weight in this article here. Intermittent fasting is a period of the day when you fast. It sounds simple, doesn’t it? In the beginning of the 20th-century fasting had an important role in medicine. Doctors were recommending it for treating many diseases including diabetes and epilepsy. Intermittent fasting diets include many types of fasting such as not eating at all for 24 hours, or reducing drastically the number of calories you intake for two days during the week. People who recommend intermittent fasting say that it will help you get rid of fat layers, build muscles, decrease the risk of cancer and heart diseases, and even live longer. 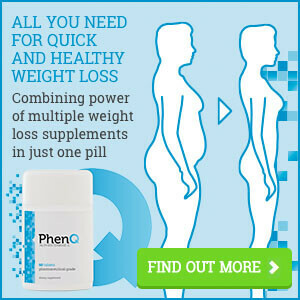 However, do these diets give better results than standard diets? There are different intermittent fasting methods. This regime is based on intaking only a quarter of the daily energy requirements (only 500 kcal) two days a week (not two days in a row!) and eating normally the rest of the week. Three studies were conducted about modified fasting which included overweight and obese respondents and a control group whose respondents had limited daily intake-1200 to 1500 kcal a day. Only one study showed that the group which fasted lost 4,1 % more weight than the control group. The blood sugar levels didn’t change significantly, but the insulin levels were lower in the group that fasted in two of the studies. Limit the number of hours for eating. For example, skip breakfast or dinner and eat only during a period of 8 hours, such as from 12 pm-8 pm. This regime expands fasting so you have less time for eating and you have fewer meals during the day. Two studies were made about the time limit for intaking calories. In one of them, 29 men with a normal body mass index (BMI) were fasting for 11 or more hours a day during a period of two weeks, followed by a normal diet regime including several meals a day for the next two weeks. During the fasting period, they lost 1.3% more pounds than in the control period. In both cases, they were intaking the same number of calories. A different study examined the effect of having one meal a day in the afternoon during a period of 8 weeks. This study involved 15 adults with a healthy BMI and it showed that they lost 2,1 kg of fat. When they were intaking the same number of calories but divided into three meals a day, they didn’t lose any weight at all. When they ate one meal per day the participants were much hungrier in the morning, as expected. This regime means not eating anything for 24 hours, and then eating “normally” for the next 24 hours. There isn’t any evidence that fasting every other day gives better results than other diets. This regime was examined in only three minor studies, and none of them included a control group for comparing the results. One study showed that the average weight loss was 2,5% for 22 days, but the participants said that they were very hungry during the study. 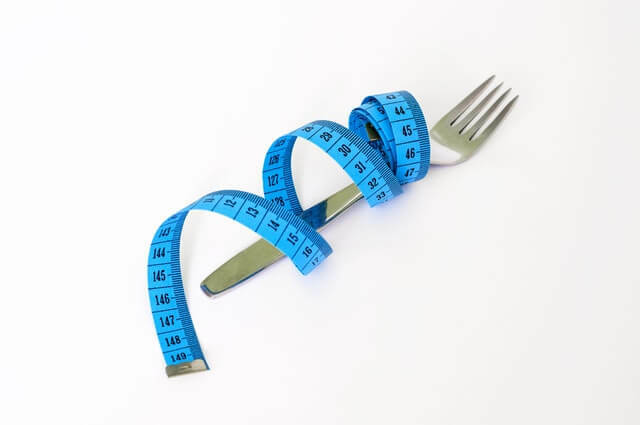 How does intermittent fasting affect weight loss? Our body stores energy as fat (1g of fat has 9 calories, for instance, 1 g of protein or sugar has about 4 calories). When you don’t eat your body doesn’t have fuel for normal functioning. So, your body has to find a source of energy and that energy is stored fat. The levels of insulin decrease which leads to a better fat burning. The level of HGH (human growth hormone) increases. Some of the benefits of HGH increasing can be fat loss and muscle gain. Your nervous system sends noradrenaline to the fat cells and transforms them into free fatty acid which is then used as energy. 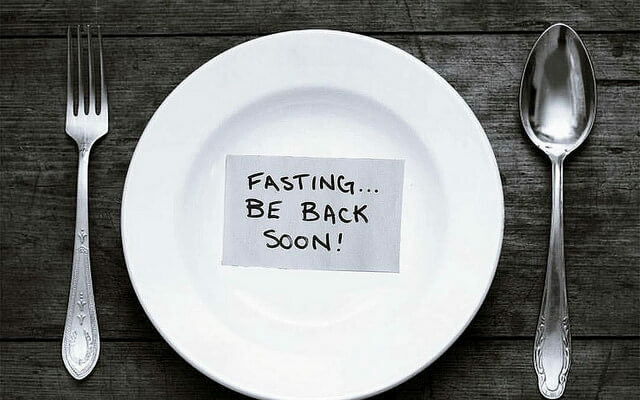 But be careful, short-term fasting can speed up the weight loss process, but fasting for a longer period can disrupt your metabolism, so it’s not recommended. So, can intermittent fasting help you lose weight? Unfortunately, our opinion is that this method isn’t very helpful. As you can see, intermittent fasting diets aren’t better than any other diets that include reducing the number of calories you intake for losing weight. A review of every research studies which compared intermittent fasting with reducing the daily intake of calories revealed that groups which were fasting lost 3-8% of weight during a period of 3-24 weeks, whereas the groups which reduced the daily intake of calories lost 4-14% of weight during 6-24 weeks. Fat loss and lower levels of insulin and blood sugar were similar in both groups. In the studies made on healthy adults, there were no harmful effects of intermittent fasting. However, these studies were made in small groups and they were short-term. Studies didn’t take into consideration the impact of intermittent fasting on exercising, sleeping, and diet. In addition, it’s impossible to provide all necessary nutrients with one meal a day which makes this diet hard and risky. If you have any health problems, take any drugs, have diabetes or blood sugar problems, or you have any eating disorders, you should consult your doctor before thinking about intermittent fasting. If you are pregnant or breastfeeding, this isn’t the right diet for you. Limiting the time for eating might help you reduce the intake of calories and lose extra pounds. It depends on which routine is the most suitable for you. Some people feel hungry more often or they have lower blood sugar levels, so small, frequent meals are the best option for them. The problem with these regimes is that people tend to overeat on those days when they aren’t fasting. It’s surprising that the research didn’t show this occurrence. Also, intermittent fasting is a method of which you may have the yo-yo effect (losing weight quickly and then gaining it back). It depends on your personality, lifestyle, and choice of food whether this is the right diet for you. You should drink at least 10 glasses of water per day. A lot of research showed that people who drink 10 glasses of water daily have 12 times faster metabolism than those who drink only a few. Also, you can drink green tea and coffee. Without sugar, of course. Well-known ingredient of coffee – caffeine can boost your metabolism up to 10%. 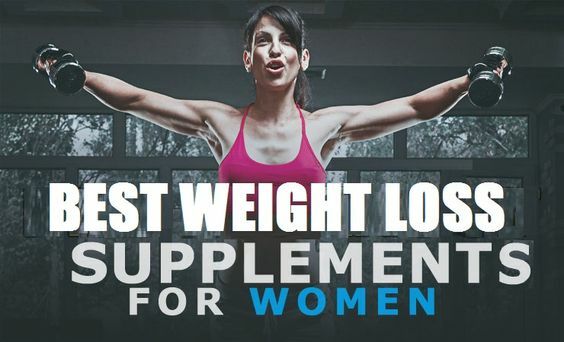 It can also promote fat burning. But, you need to know that not all calories are equal. It’s not the same if you eat 100 calories of vegetable and 100 calories of french fries. 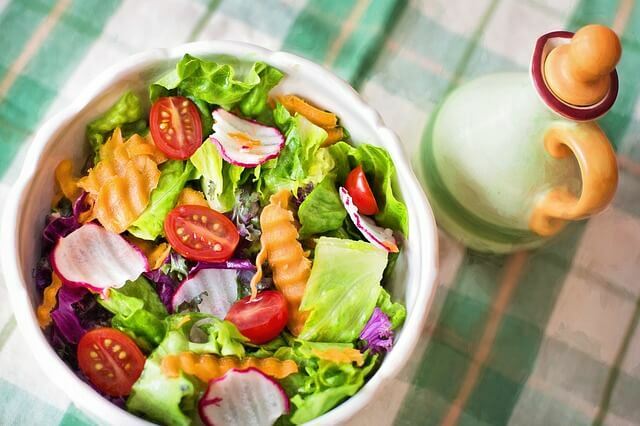 A balanced diet and regular exercising are still essential when it comes to weight loss. Eat vegetables, high fiber foods, and fruit. 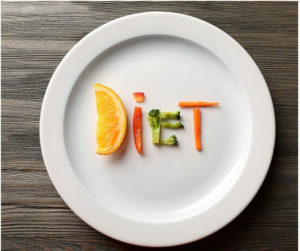 You need to follow this diet for a longer period of time if you want to achieve good results. Even though you want to lose weight as fast as possible, try to focus on the regime and be patient.